Brazil, satellite image. North is at top. 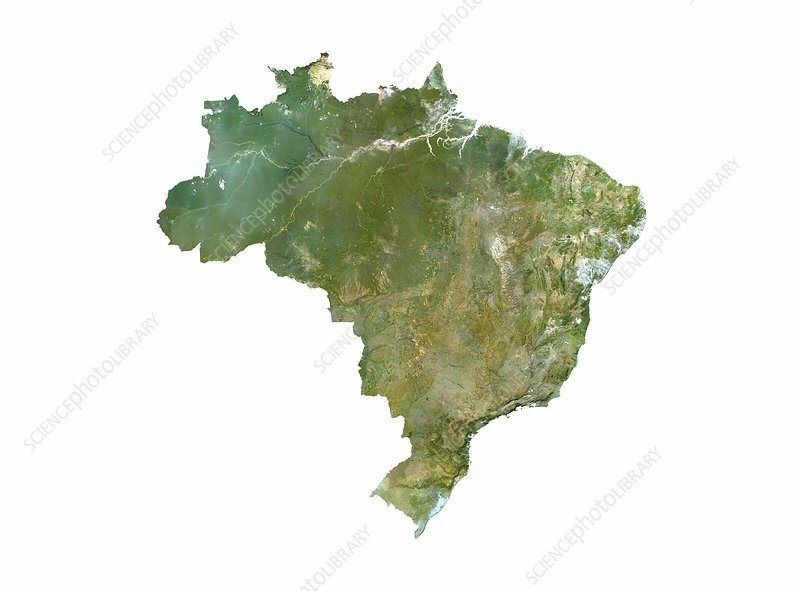 Natural colour satellite image showing Brazil, with the surrounding regions removed. Image compiled from data acquired by LANDSAT satellites, in 2012.